In the process of rearranging a couple rooms in our home few weeks ago, Colt made a discovery that I haven't stopped thinking about. As we moved the dining table out and began to sweep and clean the floors, Colt noticed a path. A worn down path on the wood floors that was under my chair, Nova's chair, and Duke's chair. Colt said, "This is a sign of your motherhood. It's really sweet." My heart became mush in that moment because he noticed this and because my motherhood means a lot to him. But also because it was evidence of my motherhood that I feel so often has zero evidence. Toys get dumped out and picked up, dishes get loaded and unloaded, stomachs get fed and emptied, diapers get changed and filled, bottoms get dirty and wiped, laundry gets folded and thrown back into the hamper, bathrooms get messy and clean, etc. It can all feel silly - like what am I actually doing? I can't see the mound of diapers that I've changed. I haven't ever calculated how many times I've emptied the dishwasher. I'm not sure how many loads of laundry I've done in my lifetime. I have no idea how many times my arm has extended to fill a mouth with a spoonful of food. Sometimes because there is no number value attached to what I do, it's hard to know that I even do it. Or at least, it's hard to feel like it's important. I'm not unaware of the fact that raising children is a big deal. It is! I know that motherhood is important. I know that my children are important. The big picture of what I do is certainly easy to find. The harder part is feeling that importance on a day-to-day basis. But this worn out parquet floor in our old dining room has given me a new perspective. It tells me that I've been feeding meals to my children for hundreds and hundreds of days. It reminds me that most of the time, it's me feeding and not me eating. (Lunch at 2:00 p.m., anyone?) It tells me that I am making them food from my own kitchen to go into their little bellies. It tells me that I've listened to countless stories told by Duke and observed Nova master the art of picking up Cheerios. It tells me that much of the growing our beautiful children have experienced has happened in this very spot. Moms, we are allowed to feel crazy and lose it and wonder if we'll ever have our bodies back and cry because all we want to do is lay in bed all day and watch TV but we can't. 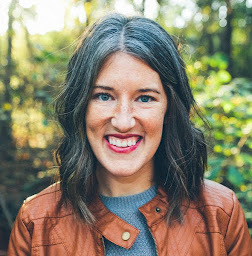 We are allowed to feel all of the hard that motherhood gives us. This is not a charge to get it together, stop complaining, and feel pressure to soak in the sweetness of motherhood every second of every hour. Rather, it's a charge to find your worn out path because these little worn out paths are what keep us going. 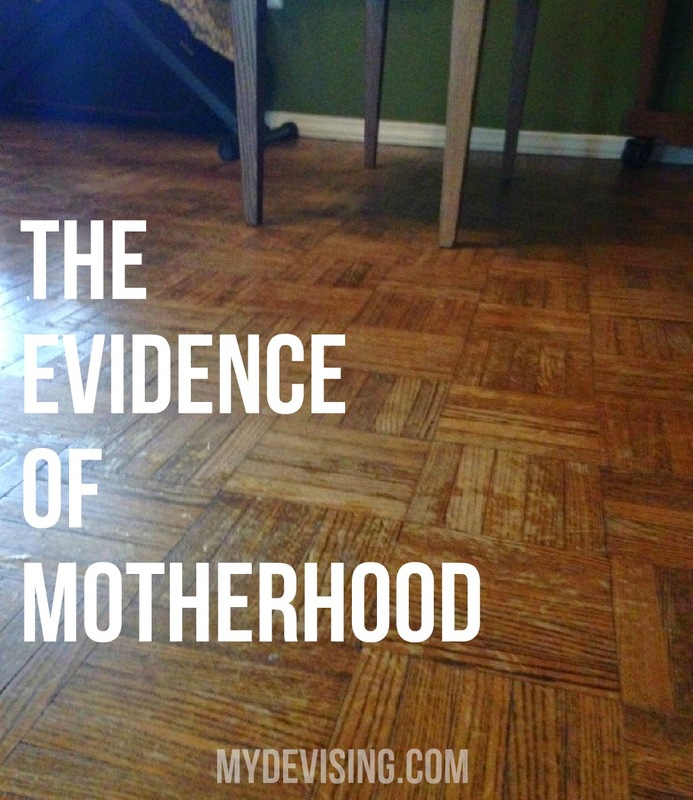 They are the very important evidence of our very important motherhood.